ACI Apartments is pleased to announce the recent sale of a 4-unit complex in the National City neighborhood of San Diego. 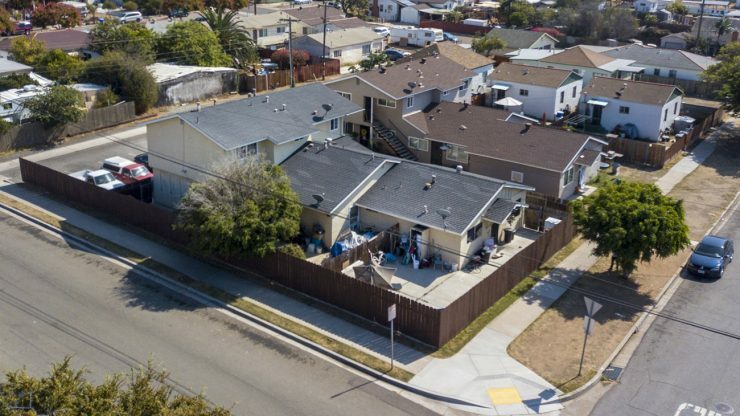 The 2,876 square foot property situated on a 6228 square foot lot located at 2011 B Avenue was purchased by Johnny Li of San Diego for $875,000. The San Diego seller was represented by Terry Moore CCIM of ACI Apartments, as part of a 1031 tax deferred exchange. The buyer, Johnny Li was represented by Hui Wang also of Nautilus Real Estate. The 1972 property consists of one 3bd/2ba unit, two 2bd/1ba units, and one 1bd/1ba unit. There are five parking spaces and the property is nearby to schools, shopping and major freeways. There is significant rent upside potential by making upgrades to the units.